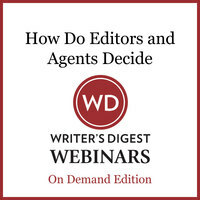 Why do some projects get picked out of the pile by agents and editors while most do not? It's because great books that catch the eyes of the pros are a combination of an excellent idea, excellent writing, and, in some cases, an excellent platform. 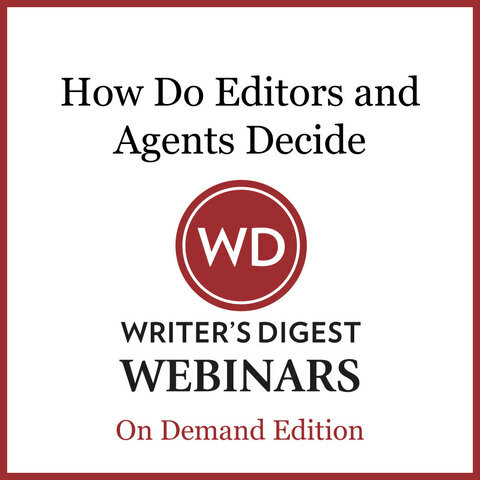 In this webinar, we discuss, in detail, the three-tiered approach that all publishers look at in evaluating potential books: the idea, the writing, and the platform. Writers will learn exactly what these terms mean, and the relative importance of each tier for different types of books. We discuss ways to evaluate your own project based on this structure, and how to improve whatever areas need help. CHUCK SAMBUCHINO is an editor for Writer's Digest Books. He was formerly a staffer on Writer's Digest and a reporter for Gannett Publications. He has had more than 600 articles published, and has written for publications such as Cincinnati Magazine, New Mexico Magazine, Pennsylvania Magazine and Watercolor Artist. Rachelle Gardner is an agent with WordServe Literary Group. She's looking at all genres of adult fiction except fantasy, sci-fi, and erotica. Currently her favorite genres are contemporary women's fiction, historical romance, and romantic suspense. In nonfiction, she's looking for authors with strong messages and significant platforms.